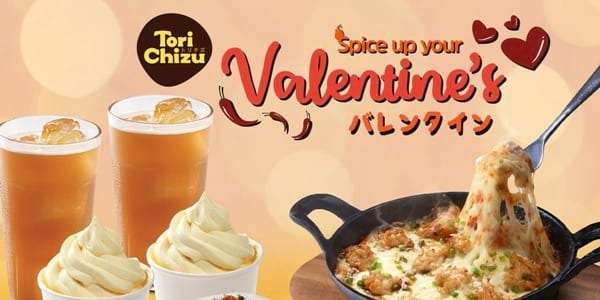 Seize a Cheesy Valentine's Date with this Hot Deal from Tori Chizu! Can't choose between cheesy and spicy this love month? Tori Chizu got you covered plus a special treat! For the whole month of February, you can score a generous meal for two for only P399, so you can save as much as P86 on your Valentine's date! 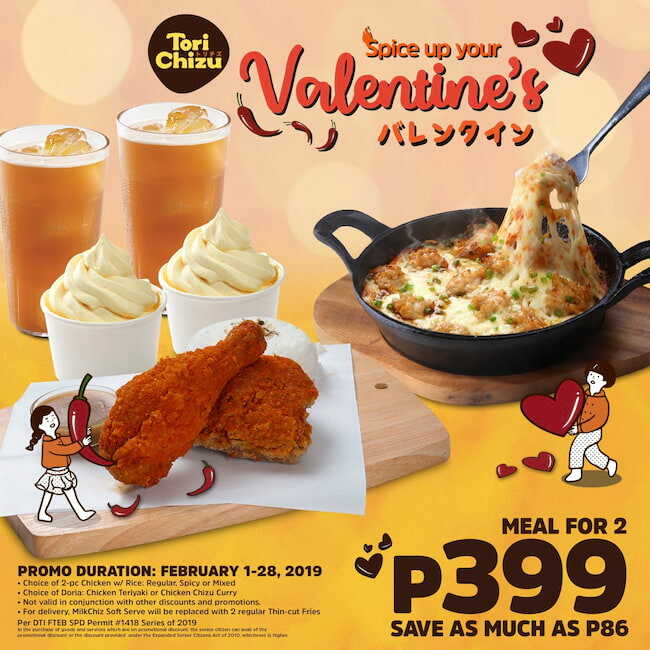 The meal includes a two-piece chicken with rice (regular, spicy, or mixed); a choice of Chicken Doria between their Chicken Teriyaki and Chizu Curry; two glasses of iced tea; and two MilkChiz soft serve cups! If you want to have your romantic date at home, no worries! Just swap your soft serve cups with 2 regular Thin-cut Fries and Tori Chizu can deliver this delightful deal right at your doorstep! The promo is available at participating branches: SM Megamall, Eastwood City Walk 2, Regis Center Katipunan, Trinoma, UP Town Center, and Keyland Makati. For more information about the promo, see the full mechanics here or visit the Tori Chizu Facebook page @ToriChizuPH.